Get energy savings as big as Texas.  With our Twelve Hours on Command 12 electricity plan, you'll get an Amazon Echo Dot and free energy for 12 hours every night - the most free power hours in Texas. * That's free electricity for half the day! Direct Energy is here to help! From energy savings tips to DIY home projects and weather preparedness tips in Houston, we're here to help your family and your Texas home. Pay your Houston energy bills, update your account information, monitor your Houston home's energy usage and more with your Online Account Manager. Houston has so much to offer - great food, friendly neighborhoods, a bustling economy and fun places to visit like the Downtown Aquarium, Eleanor Tinsley Park and of course, the Johnson Space Center. With so many options, Houstonians never have to settle, even when it comes to their Texas electricity provider. Here at Direct Energy, we are committed to providing multiple electricity plan options and innovative tools like Direct Your Energy to help you Use Less of What We Sell. Take control of your electricity cost and your Houston power bill with easy energy usage tracking and energy efficiency insights. We value our customers and our Texas community. Through our Give Brighter Miracles plan, you'll enjoy a great fixed rate and we'll donate $50 to your local Children's Miracle Network Hospital for every enrollment. Get rewarded for sharing your Houston electricity company with your friends and family. For each friend you refer through our Refer-A-Friend program, you will receive a $50 bill credit. Even better, they'll also receive a $50 bill credit – so start referring today! Then, sign up for a new Houston energy plan or renew your current plan today!